All organizations have to follow various laws, regulations and standards, known as compliances. Chetu assists businesses with planning, organizing, controlling and leading activities that guarantee agreement with these laws and standards. Our developers will engineer compliance management software solutions to drive your company’s effortless flow and development. Our compliance experts develop custom software solutions for any industry, including tech, retail, finance, consumer goods and health care. We program Governance, Risk and Compliance (GRC) systems, all-purpose platforms and SOX compliance software. We create solutions for financial compliance software, healthcare compliance management software, mobile compliance apps and much more. We engineer compliance management software to ensure that institutions understand their compliance responsibilities and incorporate them into business processes. We program all necessary features, including those for HR, supplies and contractors, action and task workflows and training and eLearning. We develop management functions for compliance, risk and control, assets, controlled documents and more. Our software solutions comply with industry-specific regulatory compliance standards, guidelines and frameworks. These include those set by HIPPA, FSA, ISO, OSHA, Sarbanes-Oxley (SOX) and Dodd-Frank. Also those by PCI-DSS, PA-DSS, Gramm-Leach-Bliley Act (GLBA), SEC, FINRA, FERC, COBIT and NIST. In addition, regulations by FedRAMP, SOC 1, SOC 2, SOC 3, ANSI and many others are complied with. We develop the architecture to monitor and manage a large range of IT regulations and standards. Our solutions scale across the enterprise and streamline and automate IT compliance management workflows, so that data can be kept in a central repository. Our solutions include audit trails, long term archiving and implementation of compliance controls across the entire infrastructure. We prepare your business for compliance audits by automating database configurations to take corrective action. We configure centralized databases with automated aggregation of regulatory, legal and administrative requirements. We create mapping and policy matching functions, versioning of all regulations, citations, permits and policies. We automate change and configuration management and fix security errors. Chetu’s developers can create complete customizable dashboards that show exact compliance levels and data quality levels per application and system. The dashboard we develop can include real-time reporting, workflow design/approvals and issue and case management. In addition, we can include continuous KPI monitoring, survey tools and automated reporting tasks. We program built-in filtering, grouping and sorting, and much more. Our security measures identify threats faster though technical investigations and forensics to fix concerns and ensure compliance with numerous regulations. We program security modules such as role-based access control, login rules and firewalls. We integrate automated backup and recovery, automated archiving and retention rules and provide penetration testing audits and systems monitoring services. 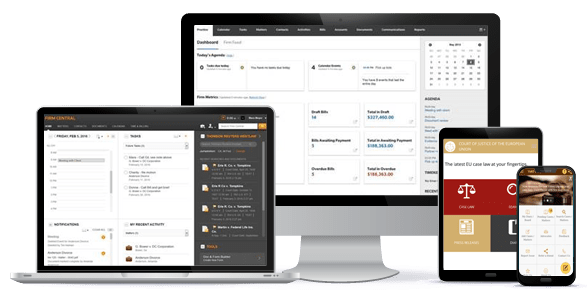 The compliance management software features we develop will integrate directly with your company’s existing software including ERP, CRM and CMS. Our software solutions integrate fluidly with project management platforms, nonconformance and defects management systems and storage. They also can be incorporated with marketing automation systems and other critical operations.